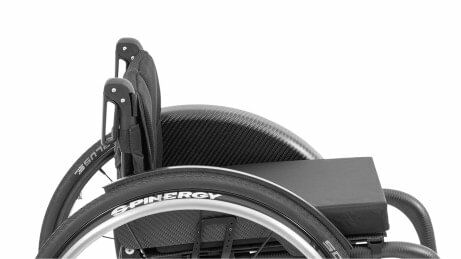 The Zenit is a folding wheelchair with the look and driving characteristics of a rigid frame wheelchair. Thanks to the patented Easy-Go folding system, the Zenit can be unfolded with very little effort. The folding mechanism and the folding back constitute an unbeatable combination for obtaining an optimum transportation size. The Zenit is impressively lightweight without sacrificing stability and offers a variety of options for the user. All of this is combined in the Zenit with a minimalist design and the available material mix. 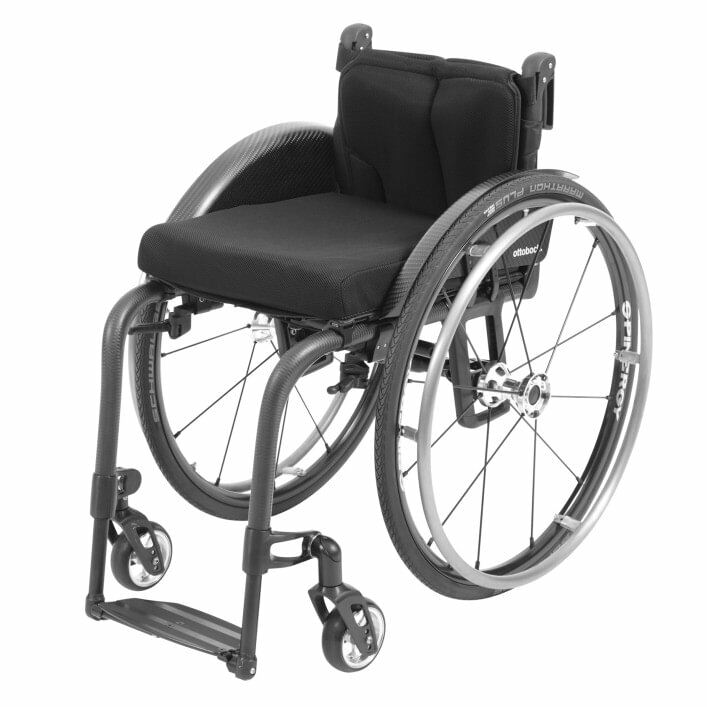 It can be ordered in all Ottobock colours in aluminium or as a carbon version. 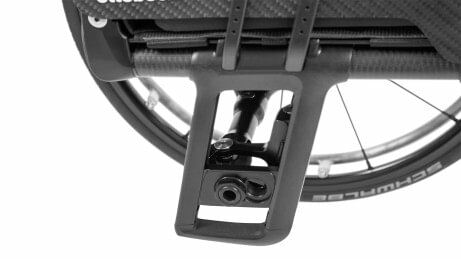 The seat height and centre of gravity of the Zenit are adjustable via the rear wheel adapter. It is designed such that the centre of gravity can be set 1.2 cm more actively or passively by turning the adapter. 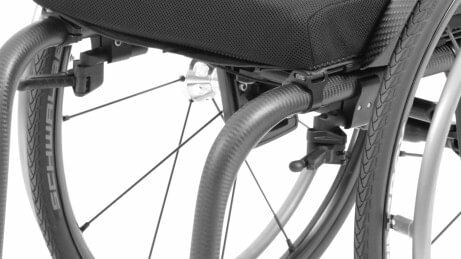 The front wheel adapter can be adjusted in stages, guaranteeing precise adjustment of the front wheels and therefore the optimum directional stability of the wheelchair. As an alternative to the knee lever wheel lock, the out-front scissor wheel lock can be ordered as an option, for example. Both folding and short push handles can be ordered. 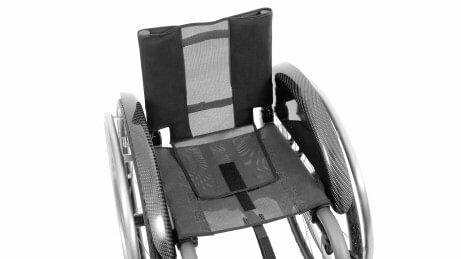 Ultralight seat and back upholstery optimised for low weight can be chosen as an option. The transportation size of the Zenit is very small thanks to the folding back. The back of the Zenit is angle-adjustable and can be folded. Another special feature of the Zenit is the automatically folding footplate. A patented footrest fixation for added stability is available as an option. The back bag integrated into the back upholstery is easy for the user to reach and is equipped with a magnetic closure. Your Zenit is available in elegant carbon or in aluminium. 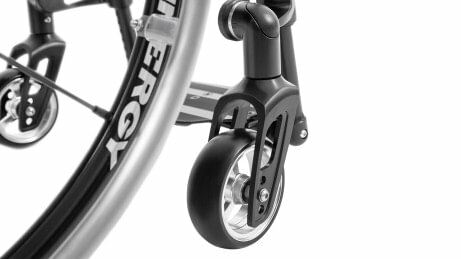 The latter version is available in all Ottobock colours including anodised colours.